From the anime ‘The Tatami Galaxy’ which originally aired during Fuji TV’s noitaminA block in April 2010 comes a bust of the aloof Akashi-san. 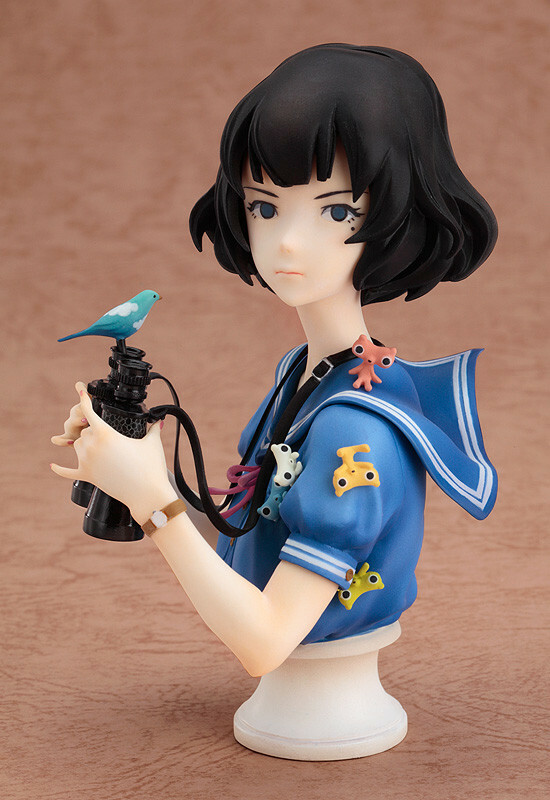 The posing is based on the art used for the front jacket of the first DVD volume, however poses her with the binoculars down instead, so that her beautiful face and eyes are part of the figure as well. The greatest care was taken in posing her to preserve the ‘cool’ air that she carries around with her – even the positioning of the ‘mochigumas’ on her shoulder has had the greatest care put into them. It’s a bust that really brings out Akashi-san’s personality for all to enjoy! 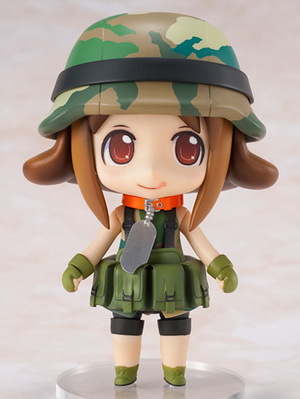 The mysterious red-eyed girl is also joining the Nendoroids! 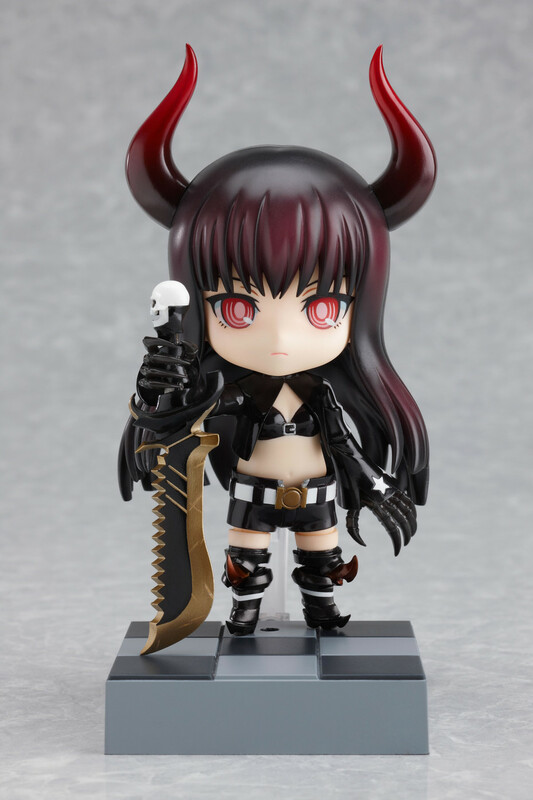 From the anime “Black Rock Shooter” comes a Nendoroid of the mysterious girl who battled with Black Rock Shooter at the start of the movie, “Black Gold Saw”. 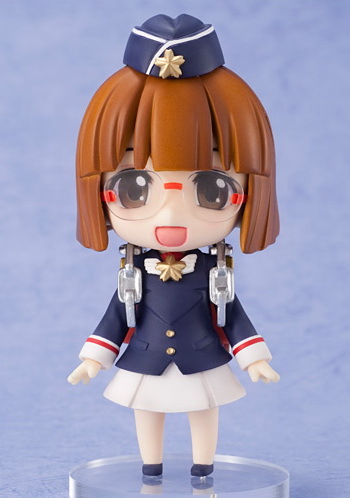 Even her trademark sword “King Saw” has been shrunk down to Nendoroid size! 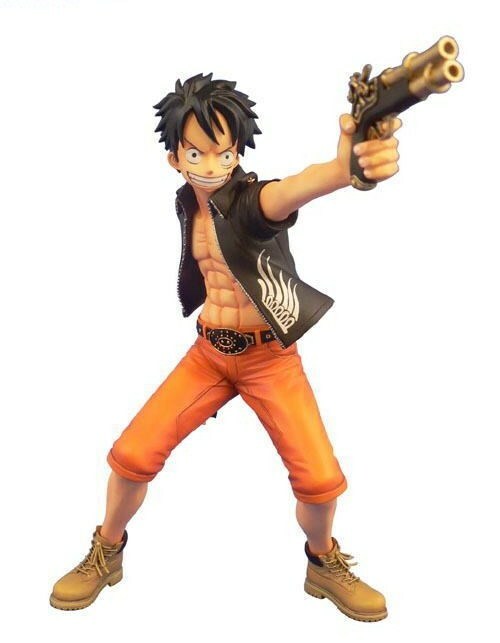 A variety of extra parts are included for even more posing possibilities, such as extra leg parts, expressions and a multitude of hand parts. A CHANxCO expression is also included to follow the BRS Nendoroid tradition! Be sure to display her together with Black Rock Shooter and Dead Master! The young magus of the powerful magi family. 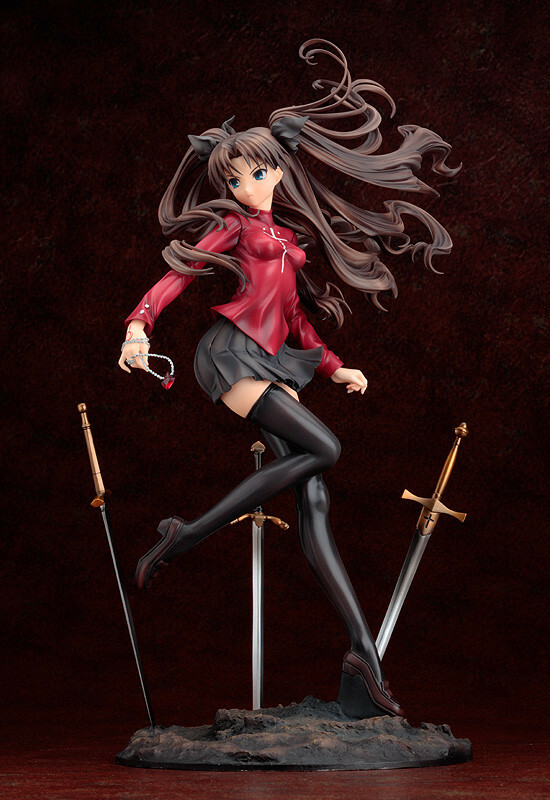 From the movie “Fate/stay Night -UNLIMITED BLADE WORKS-” comes a 1/7th scale rendition of Rin Tohsaka, the young magus who decided to succeed her deceased father and take part in the Holy Grail War. Her pose is based on a key visual used for the film, and the figure makes sure that even her long flowing hair has been faithfully sculpted – down to the last strand! The base of the figure is based off the image of Archer’s world, ‘Unlimited Blade Works”, which has swords scattered throughout the ground. 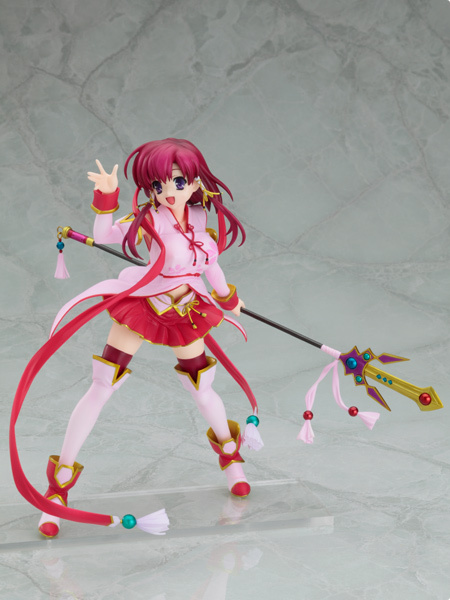 Rin is holding her pendant in her hand, but also comes with replaceable hands that allow her to hold the Azoth sword as well as her red gems – you can pick whichever you’d prefer to display! Together, we’ll be stronger… For justice! Kamen Rider Sting is here! 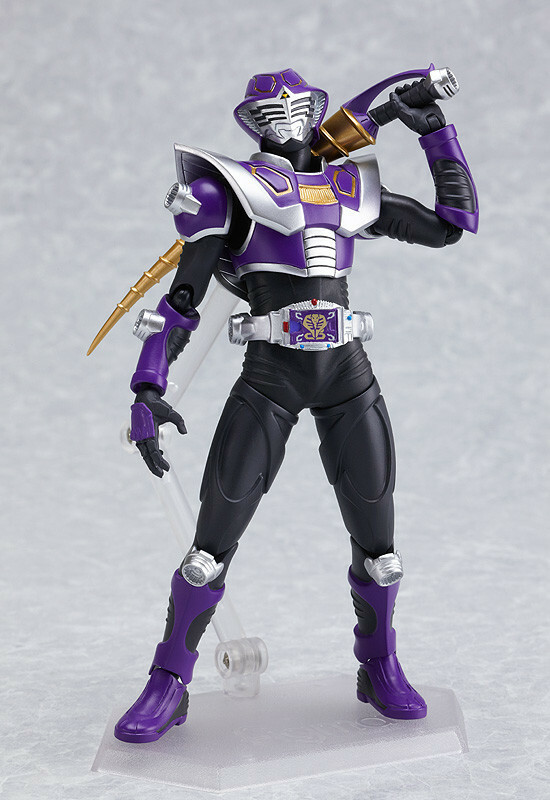 From the American produced “Kamen Rider Dragon Knight” comes a figma of Kamen Rider Sting, the Kamen Rider who continues to fight even as he battles with his asthmatic complications. Together, we’ll be stronger… The brutal snake ‘Kamen Rider Strike’ is here! 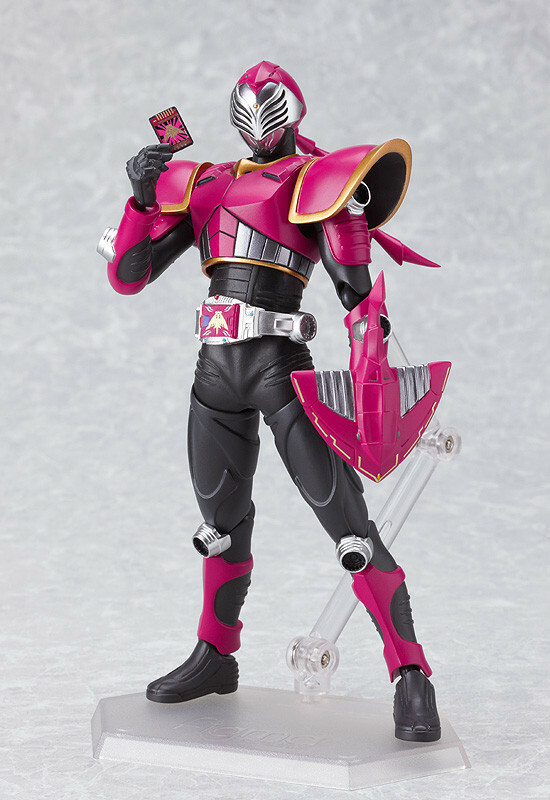 From the American produced “Kamen Rider Dragon Knight” comes a figma of Kamen Rider Strike, the Kamen Rider who fights alongside the evil General Xaviax.